01.04.12. Книги на английском языке. 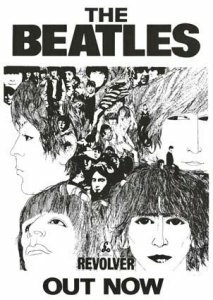 Robert Rodriguez "Revolver — How the Beatles Reimagined Rock'n'Roll"
Главная / Новости / Анонсы / Robert Rodriguez "Revolver — How the Beatles Reimagined Rock'n'Roll"
Received wisdom has always put Sgt. Pepper at the head of the class, but it was Revolver that truly signaled the Beatles' sea change from a functional band to a studio-based ensemble. These changes began before Rubber Soul but came to fruition on Revolver, which took an astonishing 300 hours to produce, far more than any rock record before it. The making of Revolver - hunkered down in Abbey Road with George Martin - is in itself a great Beatles story, but would be nothing if the results weren't so impactful. More than even Sgt. Pepper and Pet Sounds, Revolver fed directly into the rock 'n' roll zeitgeist, and its influence could be heard everywhere, from the psychedelic San Francisco sound (Jefferson Airplane, Grateful Dead) to the first wave of post-blues hard rock (Sabbath, Zeppelin) through movie soundtracks and pretty much everything that followed it, including every generation of guitar-based pop music and even heavy metal. More than any record before or after, Revolver was the game-changer, and this is, finally, the detailed telling of its storied recording and enormous impact. Комментарии (всего 4, показаны первые 3) - читать все комментарии в теме форума "Robert Rodriguez "Revolver — How the Beatles Reimagined Rock'n'Roll"
When "Revolver" was released in 1966, it was a slight dip for the Beatles, careerwise. The teenyboppers didn't like it, and went on to buy records from the bands that continued the early Beatlesque style, like Herman's Hermits and The Monkees. But in retrospect, music critics are generally very fond of this album, and it has been voted as their best album a number of times. The new book by Robert Rodriguez reveals why already in the subtitle. 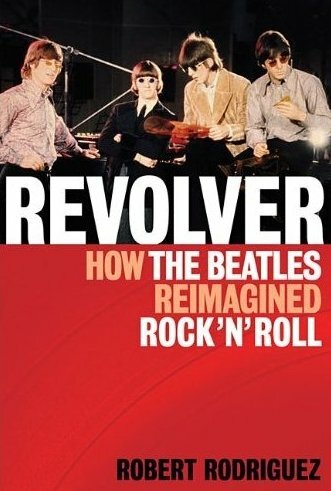 The book is called "Revolver - How The Beatles Reimagined Rock'n'Roll". With Revolver, the Beatles found a new audience and eventually most of their original fans also came around to the new sounds. Rodriguez feels that in order for new generations to really understand the reason why Revolver was such a leap forward, they have to know a bit about what was going on elsewhere in the music business.The book is illustrated throughout in black and white. Давно пора было - один из самых замечательных и важных альбомов всей рок-музыки. Если книга написана так же интересно как работа Джорджа Мартина "Лето любви - как записывался альбом Sgt. Pepper's", обязательно прочту.